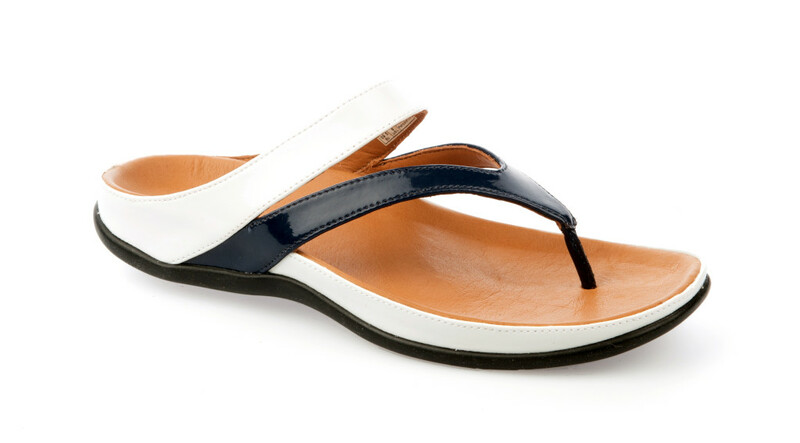 Elegant and refined the Yoto sandal is the perfect accessory for both casual and more formal occasions. This luxurious upper is built around our unique contoured sole unit with BFT Technology– carefully crafted to provide gentle biomechanical correction and exceptional pronation control. This advanced foot support, is perfect for everyday wear and incorporates features to minimise foot fatigue all while improving posture, balance and body alignment. his luxurious upper is built around our unique contoured sole unit with BFT Technology– carefully crafted to provide gentle biomechanical correction and exceptional pronation control. This advanced foot support, is perfect for everyday wear and incorporates features to minimise foot fatigue all while improving posture, balance and body alignment. Lombok is a high quality two bar slip-on sandal. Designed using the highest quality leather and finished with a luxurious soft lining. This luxurious upper is built around our unique contoured sole unit with BFT Technology– carefully crafted to provide gentle biomechanical correction and exceptional pronation control. This advanced foot support, is perfect for everyday wear and incorporates features to minimise foot fatigue all while improving posture, balance and body alignment. ‘Boho Chic!’ Lombok Buckle combines practicality and style with two high quality adjustable leather straps. This luxurious upper is built around our unique contoured sole unit with BFT Technology– carefully crafted to provide gentle biomechanical correction and exceptional pronation control. This advanced foot support, is perfect for everyday wear and incorporates features to minimise foot fatigue all while improving posture, balance and body alignment. Alba Buckle is a dainty toe post upper with an adjustable instep and a delicate buckle embellishment. A must have sandal for your summer wardrobe. This luxurious upper is built around our unique contoured sole unit with BFT Technology– carefully crafted to provide gentle biomechanical correction and exceptional pronation control. This advanced foot support, is perfect for everyday wear and incorporates features to minimise foot fatigue all while improving posture, balance and body alignment. -Engineered using premium natural leather materials. -Styled by industry leading designers to look as good as they feel.